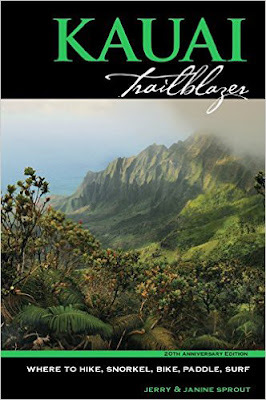 Giving Thanks: The 20th Anniversary Edition of Kauai Trailblazer is here! The NEW 2017, 20TH ANNIVERSARY EDITION of the Sprout's top-selling guide has been completely revised and updated. 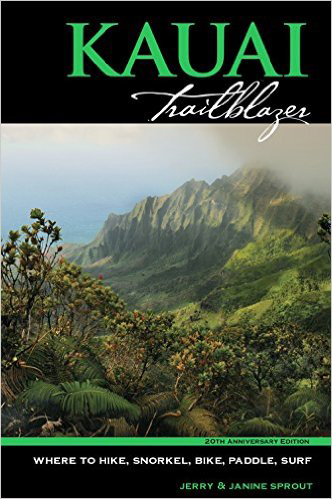 A favorite among locals and adventure travelers alike, Kauai Trailblazer is packed with new activities, dozens of fresh photos, and a special Trailblazer Kids chapter for families. 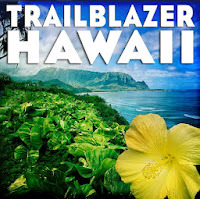 Trailblazer guides are popular among independent and active travelers and are known for their user-friendly format, readability, and sharp graphics. 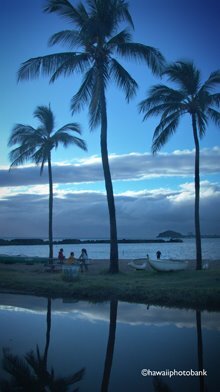 The authors have spent years exploring Kaua'i, and it shows. 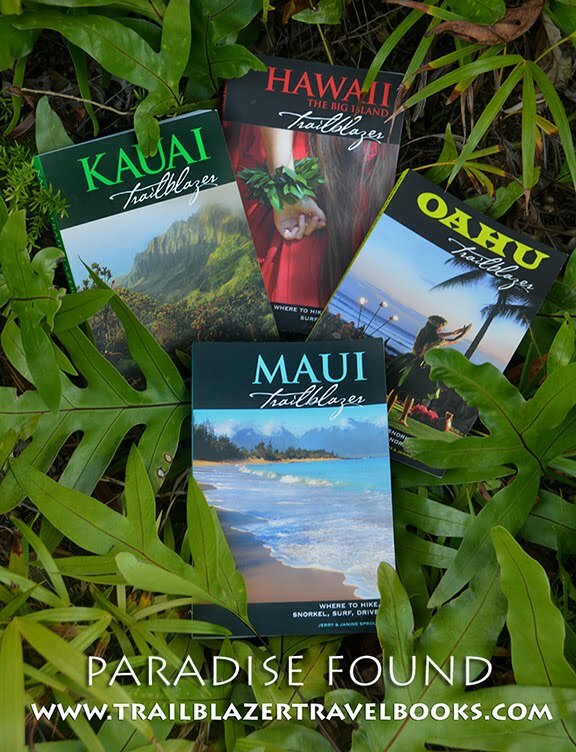 A Resource Links section gives visitor information and cultural contacts, recommended recreational outfitters, museums and attractions, Hawaiiana shops and hula shows, as well as a hand-picked list of restaurants and places to stay. Safety precautions and traveling tips are not to be overlooked, and a Best Of section lets you select among activities to suit your mood. 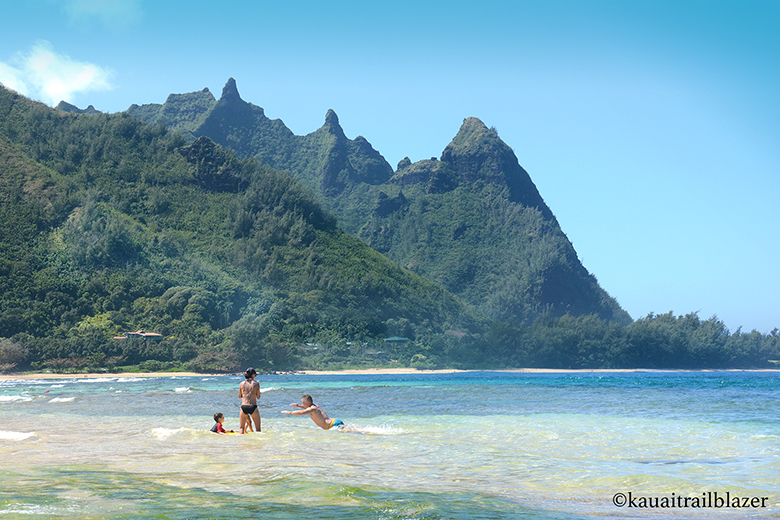 Feeling dreamy? 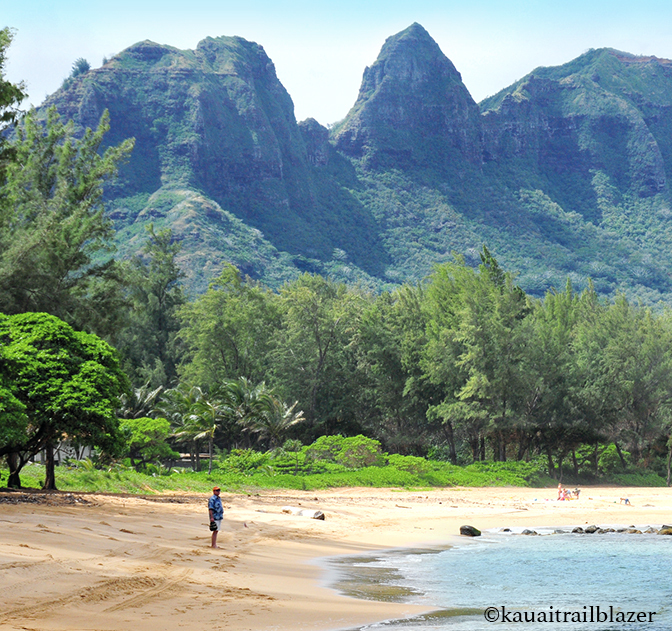 Try Tunnels Beach for snorkleing and a knock-out view of Makena Ridge (a.k.a. 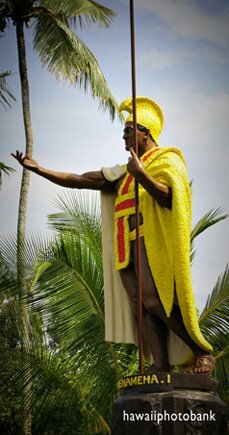 Bali Hai of South Pacific fame). 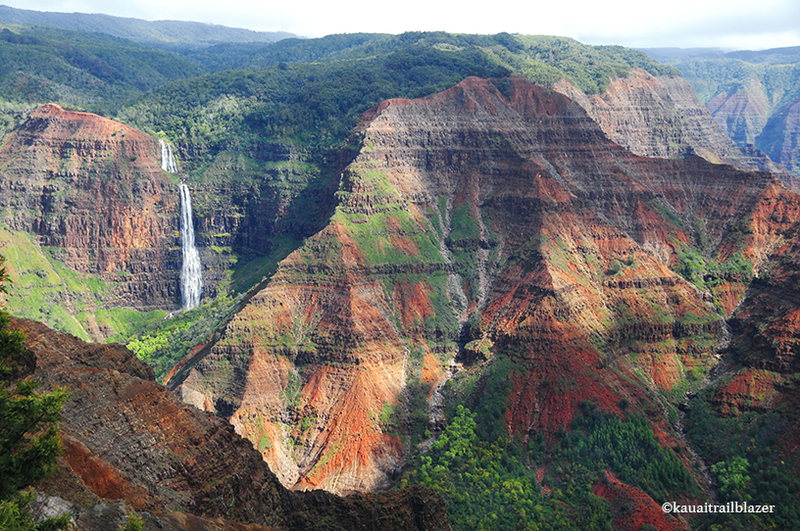 Waimea Canyon, the "Grand Canyon of the Pacific," has trails fringed with red rock and cacti when you drop down, and trails though tropical jungle along its upper rim. 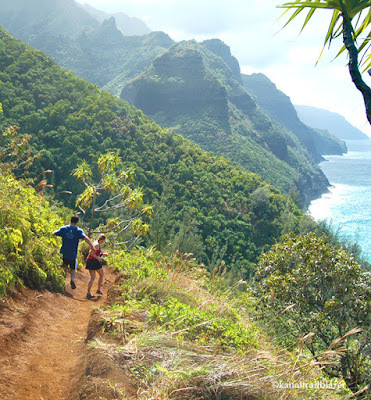 The Kalalau Trail on the north shore runs 11-miles along roadless cliffis above crashing seas. But you can get a good day hike in with a jaunt to the first beach and waterfall. 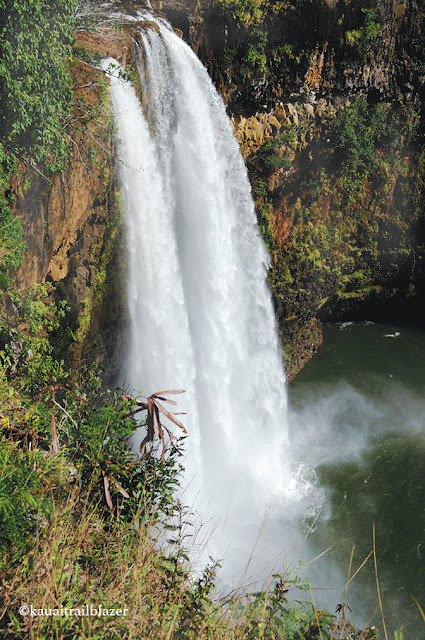 All of Kauai is a scenic drive, including a short trip inland to Waimea Falls, which was featured in the tv program Fantasy Island. But the coolest thing about Kauai is the wealth of lesser-known beaches, like Anahola Beach Park. 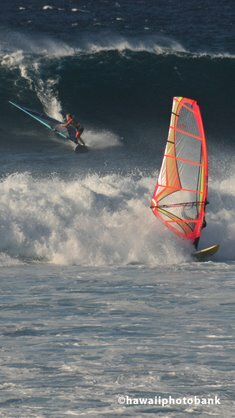 This northeastern coastline has a dozen beaches, many of which are reachable only by foot. 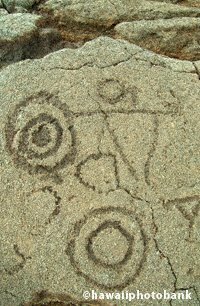 Interior trails skirt the shoulders of Mt. 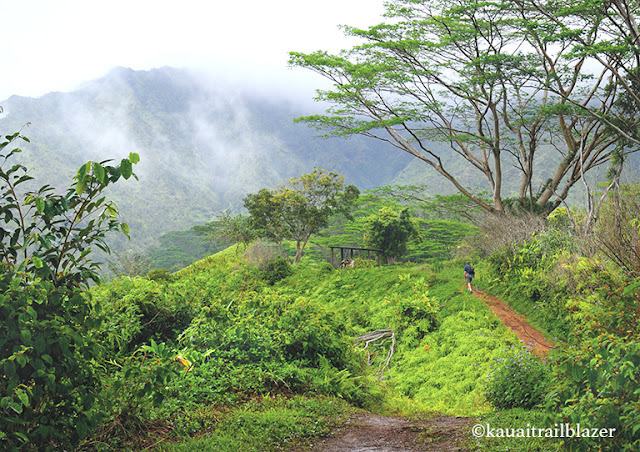 Waialeale (Why-ali-ali), the wettest spot on earth, receiving an average of 40-feet (that's feet) of rain per year. The Powerline Trail transects the island. 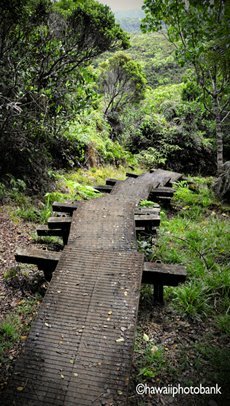 The Kuilau Ridge Trail is only a few miles roundtrip.